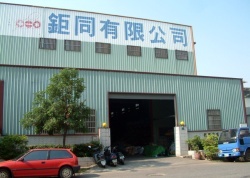 Established in Taichung in 1989 and moved to Tali Industrial Zone, Taichung County, Taiwan in 1997, we are a GS-approved screwdriver manufacturer with advanced screwdriver production technology, providing unparalleled, quality service. In 2005, we started to manufacture aluminum toolboxes. Apart from business activities, we also actively participate in social-welfare to be a socially-responsible entrepreneur.